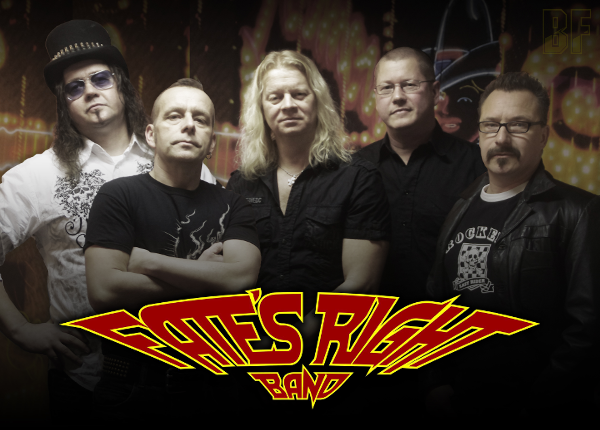 FATE'S RIGHT BAND is a band from Umeå in Sweden, founded in the beginning of 2013 by the brothers Jari & Marko Aalto together with Jonas Andersson. Later on Jonny Lindkvist (Nocturnal Rites) and Jens Mann joined the band, and turned to a five piece band. There are 2 pairs of brothers in this band; Jari & Marko and Jonas & Jens. 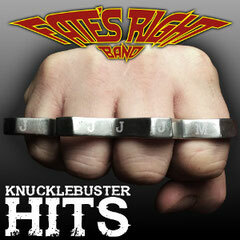 They have released their first EP entitled "Knuckle Buster Hits" on January 9th 2015, which contains 4 tracks of Melodic Hard Rock with modern sound. This EP was recorded at Garageland Studios in Umeå, Sweden, with Ronnie Björnström (AEON, BONE GNAWER, TEADEAT) behind the mixing board. It's available on iTunes, Spotify, Google Play, amazon, Xbox Music and other digital services. FATE'S RIGHT BAND is planning to enter the studio again during spring/summer 2015 and then record four new songs that will be released summer/autumn 2015. At the same time they are working with some more new songs. Check out this band and keep an eye on it!